Sergio Tahadlangit was arrested on May 25, 2018 for alleged sale of illegal drugs. An alleged associate of slain SPO1 Adonis Dumpit in the drug trade escaped from the Tagbilaran City Police Station along with two other suspects in the wee hours of Saturday. The suspected Dumpit cohort, Sergio Tahadlangit, and one Sergio Bongo who also bolted the detention facility were rearrested in Alburquerque and taken back to police custody on Saturday afternoon. According to PO3 Julio Vallejos, duty jailer at the police station, the detainees escaped amid a power interruption between 12:30 a.m and 6 a.m.
A detainee, identified as Dominador Bartolata, complained of difficulty in breathing due to asthma prompting Vallejos to transfer him. Upon transferring Dominador, Vallejos was not able to immediately close the cell’s gate allowing Tahadlangit, Bartolata and one Rommel Mahumot to sneak out. Vallejos noted that the suspects may have bolted from jail at around 3:30 a.m. while police only realized that they were missing in the morning. All three suspects who escaped were held on drug charges while Mahumot who remained at large was also charged with illegal gun possession. Tahadlangit was at the center of the National Bureau of Investigation and the police’s investigation on the alleged involvement of Dumpit in the illegal drug trade. Probe on Dumpit which started June 19 was prompted by allegations that the slain cop tried to meddle in the case of Tahadlangit who was arrested on May 25. 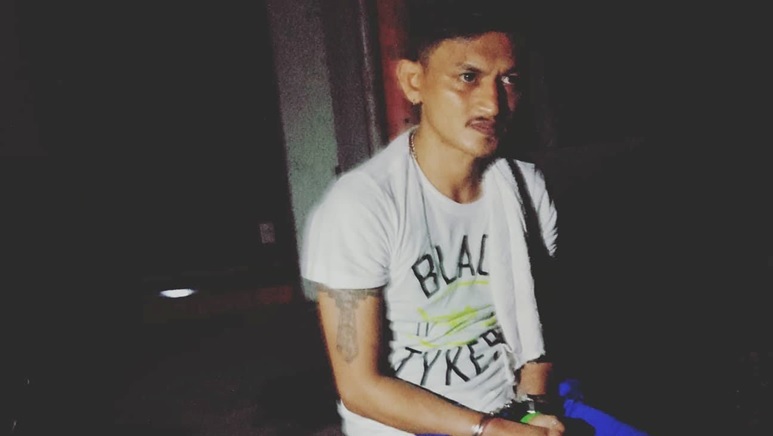 Dumpit allegedly tried to convince the leader of the police team which arrested Tahadlangit to reduce the suspect’s case to possession of illegal drugs from sale of the banned substance, which is a non-bailable offense.